Abuse can take many different forms. Probably when we talk about abuse most people will think first about physical abuse – violence from one partner directed towards the other. But this is by no means the only form it can take. Threats of violence (especially if violence has already occurred in the relationship) can be every bit as powerful, and that violence might be directed towards others – the children, pets, valuable objects or onto the abuser themselves; a threat of self-harm or suicide can be a way of manipulating your partner. The use of (or threat of) physical violence is, in general, a way of trying to control your partner; and there are many other tactics people use to try to achieve that control. Some examples are withholding financial support; not allowing your partner contact with friends or family; name-calling; excessive criticism; ordering your partner about; and many more. The common link here is that there are all ways of imposing your will on your partner, of making them feel inferior to you, or making them dependent on you. Often these behaviours are rooted in insecurity – a fear of losing your partner, of losing a relationship that is important. These fears can be amplified with each incident – feelings of guilt for the abuser can damage their self-esteem and increase their insecurity. Ultimately, of course, these attempts to control one’s partner are counter-productive and unless they are stopped they will most likely result in the end of the relationship that they are intended to preserve. 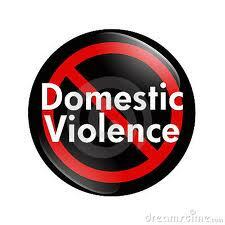 Abusive relationships can change, however, if both parties (particularly the abuser) are willing to work at it. In the first place, the abusive partner needs to accept responsibility for their actions. It is easy to blame one’s partner by saying “if they hadn’t done X, I wouldn’t have done Y” but ultimately that is denying responsibility – ultimately we all have control over what we say and do, and we can choose to act in different ways. Blaming your partner for your actions is, in fact, another form of abuse. Accepting that abusive behaviours are choices is a first step towards change. Once responsibility is accepted, you can start to explore the feelings, motives and beliefs that underpin the abuse; start to change the patterns; start to adopt different behaviours. Sometimes these changes can happen quite quickly – in other cases the behaviours might be deep-rooted and can take longer to change. If you are the abused partner, and you choose to stay in the relationship to work at it, you will need to be patient. You will need to keep the boundaries clear for your partner, who may not realise how some of their behaviours affect you. You will need to tell your partner when they get things right and when they make mistakes. You will need to keep yourself safe and give your partner time to change. Abusive relationships can be changed, though it is often very difficult to do so. Behaviours may be ingrained and the loss of trust and fear that they cause can be very tough to repair. But if both parties are willing to work at it, and in particular if the abuser takes full responsibility for their actions, changes can happen and new, healthy relationships can emerge. This entry was posted in Looking After Yourself, Making changes, Relationships and tagged Abuse, anger, behaviour, change, choice, control, Domestic violence, hope, Physical abuse, power, safety, trust, violence, Violence and Abuse. Bookmark the permalink.